We found out that Alice was pregnant in February and the months leading on from this have quite possibly been the longest and hardest few months we've had in a while as we couldn't tell anybody until the twelve week scan and we were bursting at the seams to be able to announce. You'll be able to read Alice's post here - Hello Little One. We didn't have the smoothest of starts as Alice was taken into hospital at four weeks as she was showing all the symptoms of having an ectopic pregnancy. This meant that we haven't been able to fully enjoy the fact she's pregnant until this week. Alice did have a scan with the Early Pregnancy Unit which thankfully showed a heartbeat at six weeks but it has still be a difficult time waiting for the dating scan. While we've been lucky in a sense to be able to see the growth with more scans than usual, it has been a really tense time up until we were told everything was fine. Seeing our baby moving constantly during the scan was a warming relief. For myself, it provides an opportunity for me that I didn't have myself growing up. I never had a father around growing up as I'm the second eldest of nine on my "Dad's" side of the family. While he was attempting to play happy families with my half siblings, I grew up under the knowledge of this and that I wouldn't have him around at all. Everything was provided to me by my Mum, which I'm more than grateful for. But I now get the opportunity to be a better man for my Daughter/Son than he ever was and I'll be able to provide them the support that I never had, which is something that means a lot to me. It has also given me a bit of a kick up the backside in a few areas. I want to be the dad who will be able to run around like a maniac chasing their children, so I'm determined to get back into the gym as of tomorrow. I need to get my driving sorted within the next six months so that we don't have to rely on anyone else to get us to and from the hospital. It also gives me a lot of drive when it comes to my work as well as I want to be able to provide everything and more for our child. 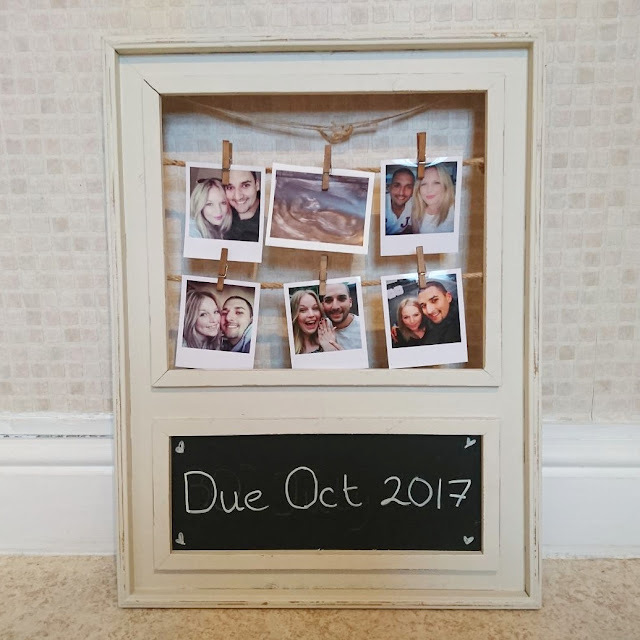 I will be posting updates as we go along, so sometimes this may be a bit of a Dad blog but I hope that you'll enjoy reading the steps we take on the new adventure we're about to take as parents, as much as we will.